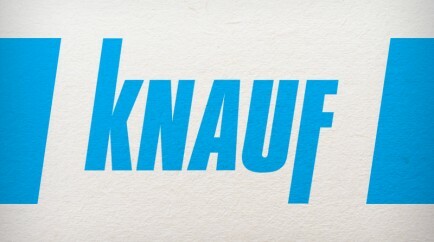 Knauf Design, domiciled in Wolpertshausen is a partner company in the Knauf Group, a leading manufacturer worldwide of building materials with 27,400 employees in more than 86 countries. Here in our newly created competence centre for surface technology innovative solutions for gypsum fibre and drywall boards are developed that open up new horizons for architects and planners. Knauf Design unites the many years of experience in manufacturing highly compacted and therefore extreme load-bearing gypsum fibre boards and creative ideas for treating or finishing surfaces. The result are design-oriented solutions of high fire-protection and acoustical quality for a wide range of applications, that even fulfil strict building and safety regulations such as in airports, hospitals or schools one hundred percent. This results in completely new individual creative design possibilities for walls and ceilings, which are almost unlimited with regard to painting, surface structure or coating. A good example for the innovative force of Knauf Design is the surface finishing with highly decorative wood looks of non-combustible quality or by means of digital printing through which any imaginable image can be realized – a technology that sets new yardsticks across all branches. We are searching for unconventional ideas - and smart people are welcome! Get started with us: as a trainee, student, professional or as a manager.